The concept of team building is simple: break down barriers and stop complacency. If you are not moving forward in business, you are moving backwards. It happens all the time. A business finds success, settles in, and maintains the status quo. Then, whether one year down the road or 10 years down the road, another business comes along with a bigger and better idea, making you, your product, and your company obsolete. Complacency: it’s the worst mistake a business can make. The problem: it can happen without employees or managers even realizing it. So how do you ensure your employees, your company never settles for the status quo? You constantly challenge them to be better. Lessons Learned: The concept of this classic team building activity is simple. Get your ENTIRE team up and over the wall with nothing more than what you have on you. The biggest problem: how do you get that last person over? The Wall will challenge your team’s problem solving ability and will force them to work as a cohesive unit. How will your team handle this challenge? How will they communicate? Who will take on leadership roles? Will they conquer the Wall? 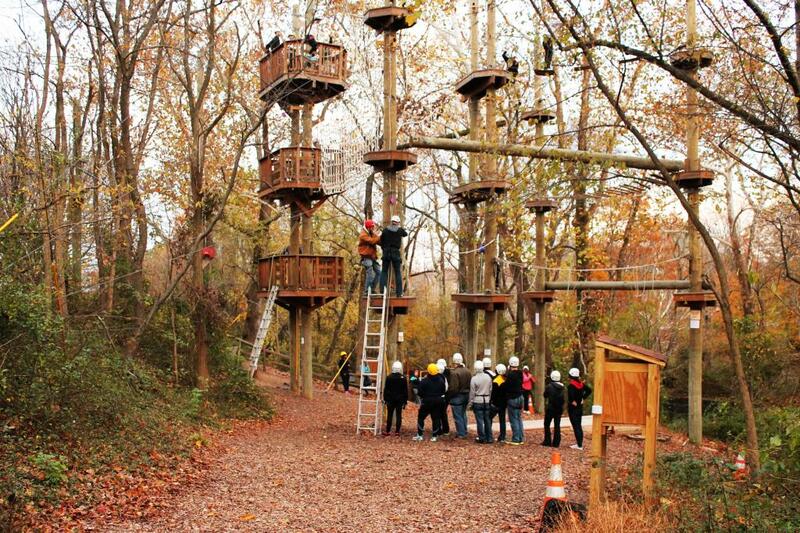 Located between Baltimore and Washington DC, Terrapin Adventures is uniquely suited to provide a custom Team Building solution for any company, both onsite and offsite. Presented in a fun and creative way our facilitators will lead your group through unique events designed to break down barriers, foster communication, and help stretch the limits of your team. This entry was posted on Friday, March 20th, 2015 at 4:48 pm. Both comments and pings are currently closed.